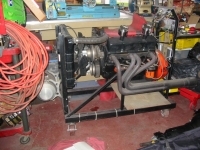 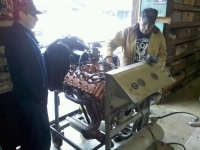 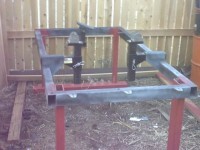 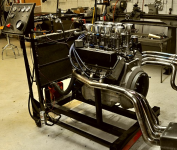 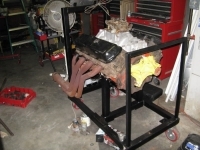 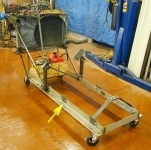 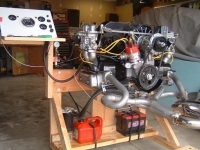 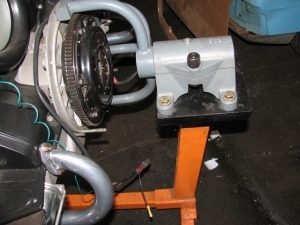 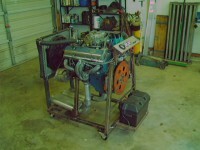 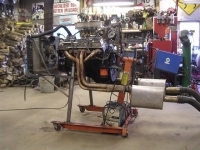 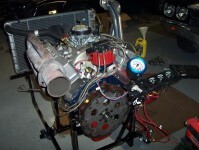 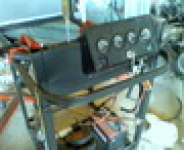 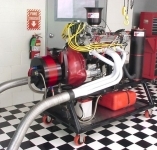 Homemade engine test stand constructed from an engine stand, a transmission housing, and a starter. 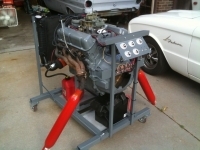 Intended for a Porsche 356 engine. 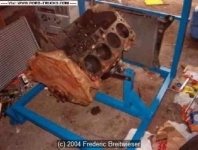 Engine Run Stand by Frederic J. Breitwieser Jr.